Happy National Animal Cracker Day! 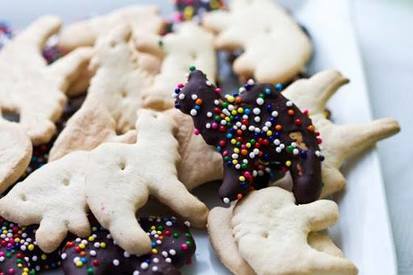 These Easy Awesome Chocolate-Covered Animal Cookies are just that. Easy and awesome. This is a fun kitchen project filled with sprinkles, cute animal shapes, melted silky chocolate and parchment paper fun. No oven required. No ingredients to measure. Three ingredients! Try these cuties today!..